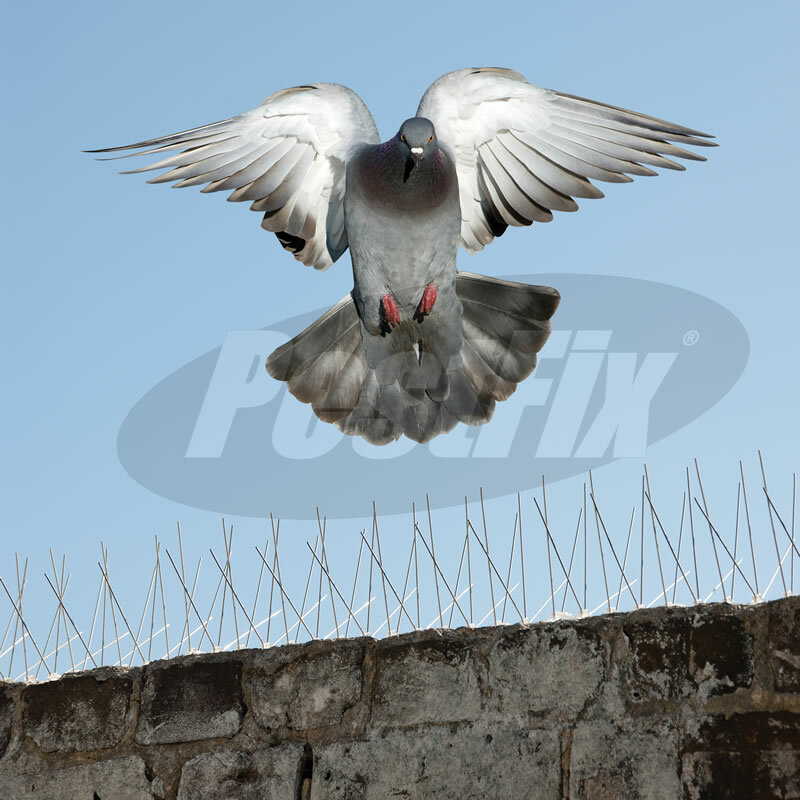 An excellent budget pigeon spike for use by DIY enthusiasts or on large price sensitive contracts. 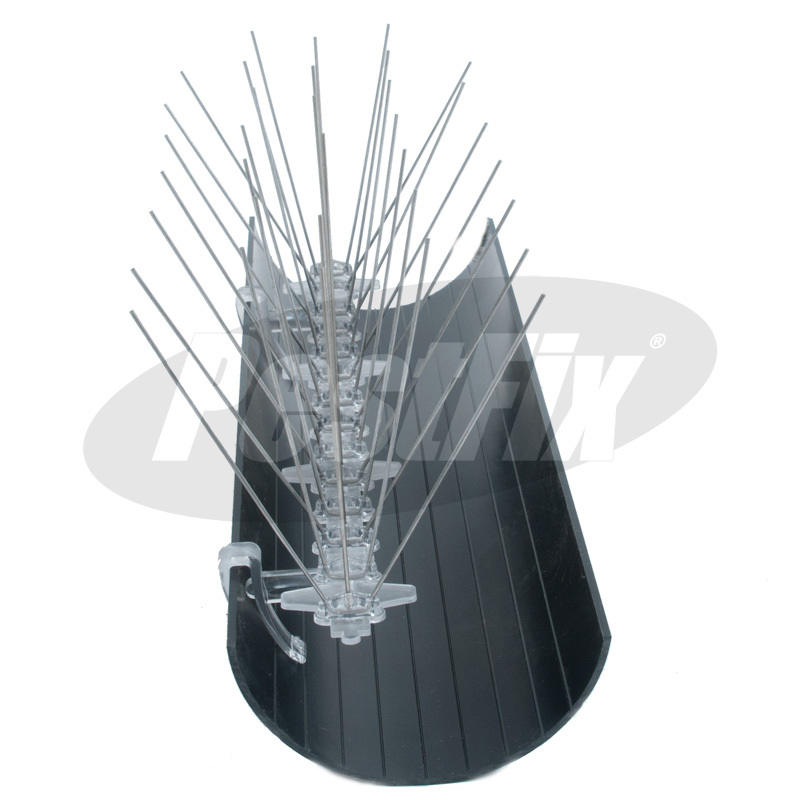 The plastic pigeon spike is UV stabilised for longevity, these pigeon spikes are slightly more visible than our stainless steel pigeon spikes and the bases are marginaly less flexible. 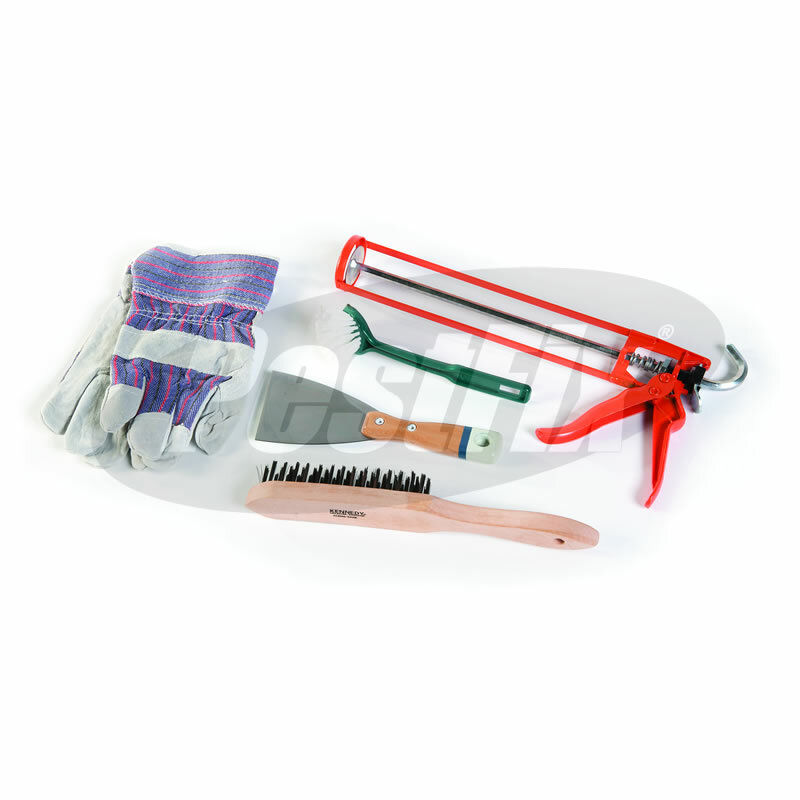 Install on ledges, parapets, ridge tiles, girders, chimney pots/cowls, gutters, signs, window sills etc. Protects areas between 42mm and 100mm wide. Each 33 cm strip has a series of holes along it, which are designed to let "rivets" of glue to form through them when the strip is pressed onto the surface. These act like nails when set and ensure that the strip remains securely bonded. The spikes are manufactured from UV stabilised polycarbonate, with built-in snap-off markers to allow for easy reduction in size to tailor your spikes to your exact requirements. The pigeon spikes are sold by the linear meter. 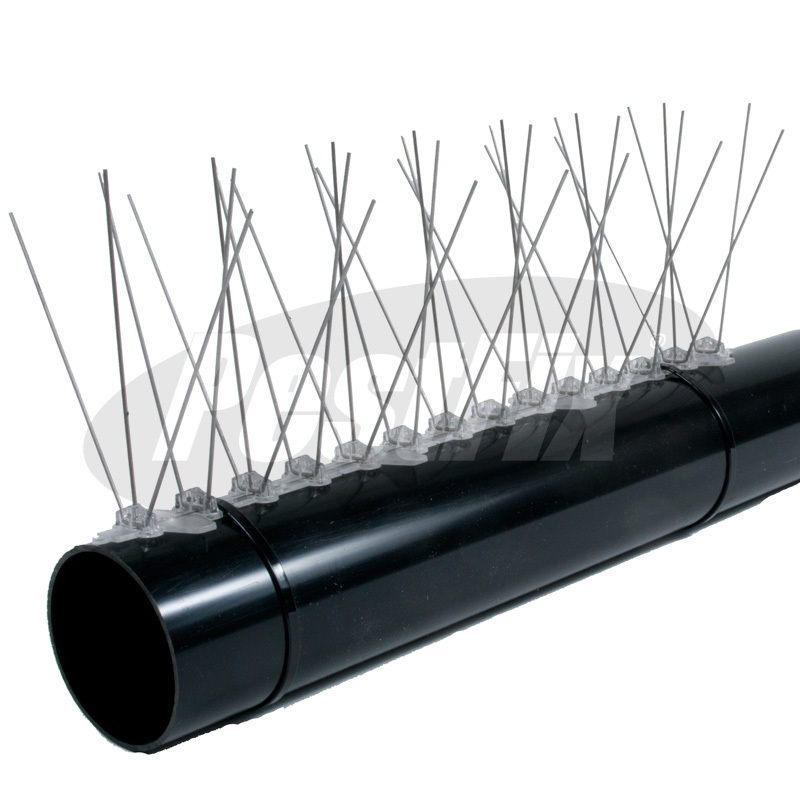 One linear meter consists of three individual strips of pigeon spikes, each 330mm long. 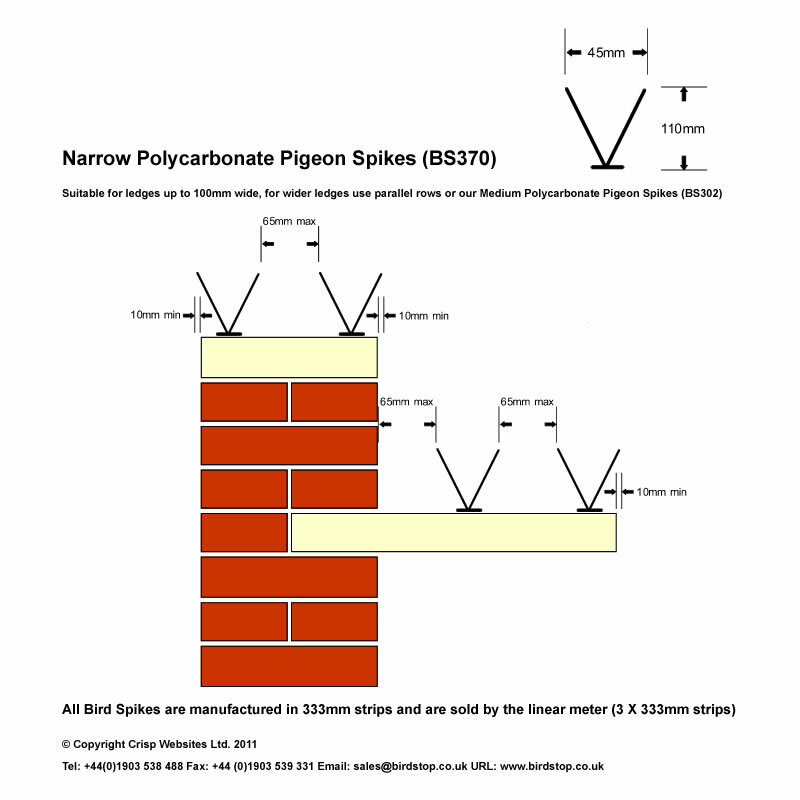 One row of pigeon spikes will protect a ledge width of between 42mm & 100mm. 42mm is the actual width of the spikes between the outermost tips. Ledges, parapets, ridge tiles, girders, chimney pots/cowls, gutters, signs, window sills etc. 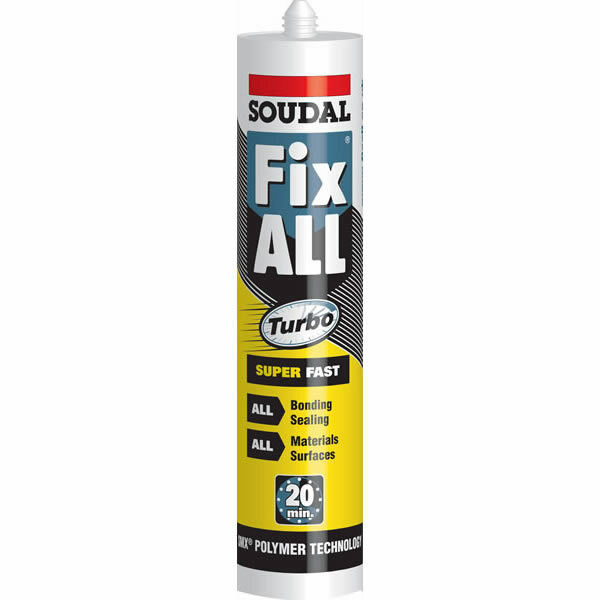 Protects areas between 42mm and 100mm wide. 3. 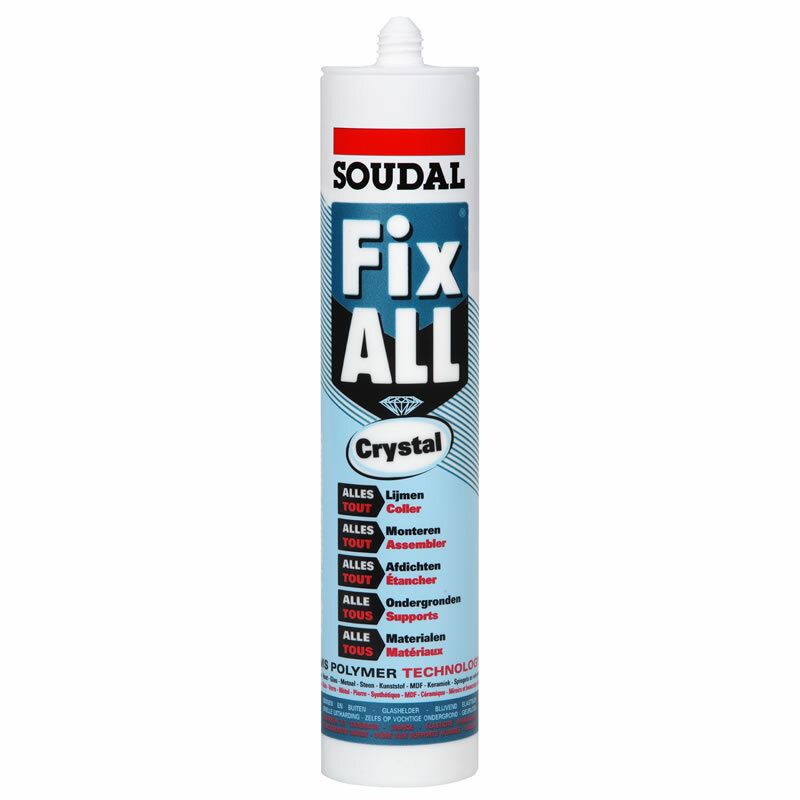 BS331 If you are gluing the spikes to a non-porous surface such as plastic, metal or glass you will require Surface Activator to key the surface being adhered to (see Spike Fixings section). Low - medium pressure areas. For high population pressure problems please contact us on 01903 538 488 for specialist advice.